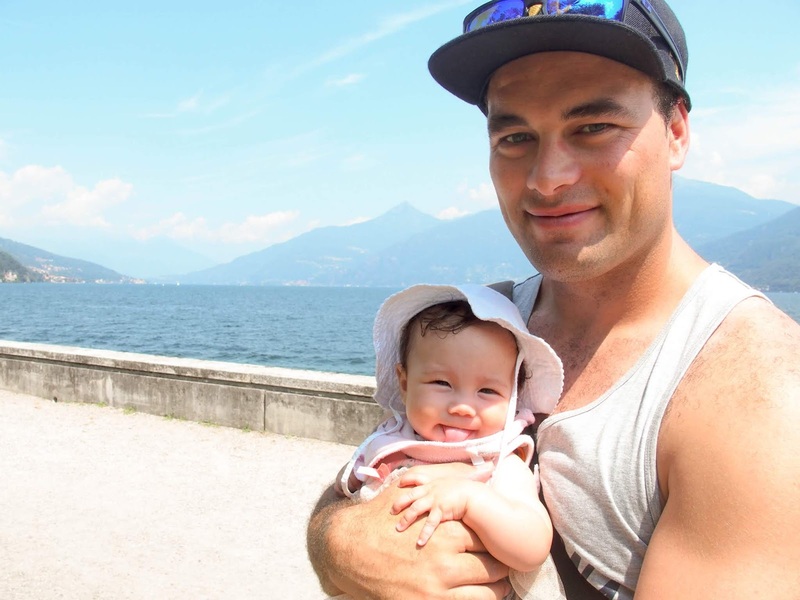 Over two separate trips (one before Lilah was born and one when she was three months old) we have spent about a month in Italy. These were our top 10 favorite small towns out of the places we visited. There is still so much more we want to see and places we want to get back to. Italy is definitely one of our top 5 countries to date! Next, from Italy, we will share the cities we have visited... Rome, Venice, Milan, and Florence. One of the most picturesque places we have seen. Positano delivered the best surprise we have ever had traveling, arriving here by boat and seeing the colorful houses on cliffs. The mountains in the background completed the scene. 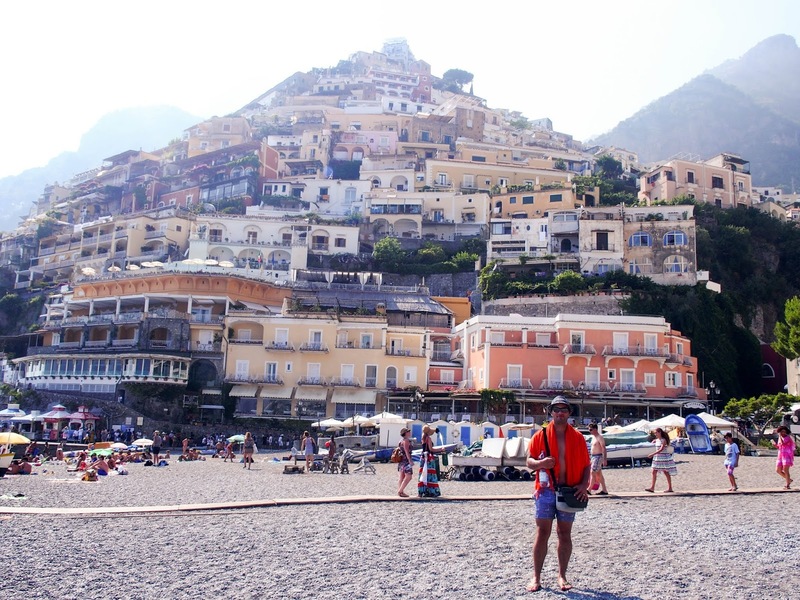 We knew nothing about Positano and hadn’t even seen a picture before. Sometimes it’s good to just go with the flow and not plan too much! 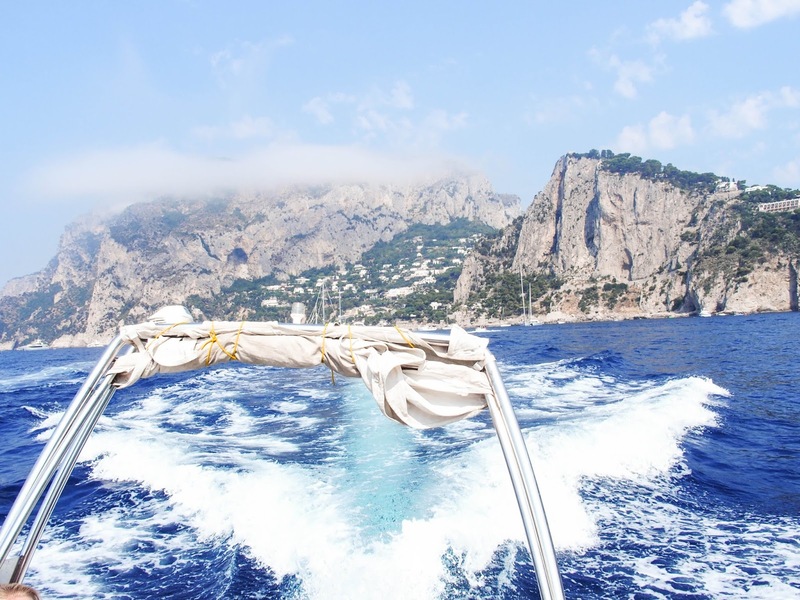 -Approach Positano from the sea by taking a ferry from Amalfi, Capri or Sorrento. Otherwise, make sure to take a boat ride and take in the amazing view from the ocean. 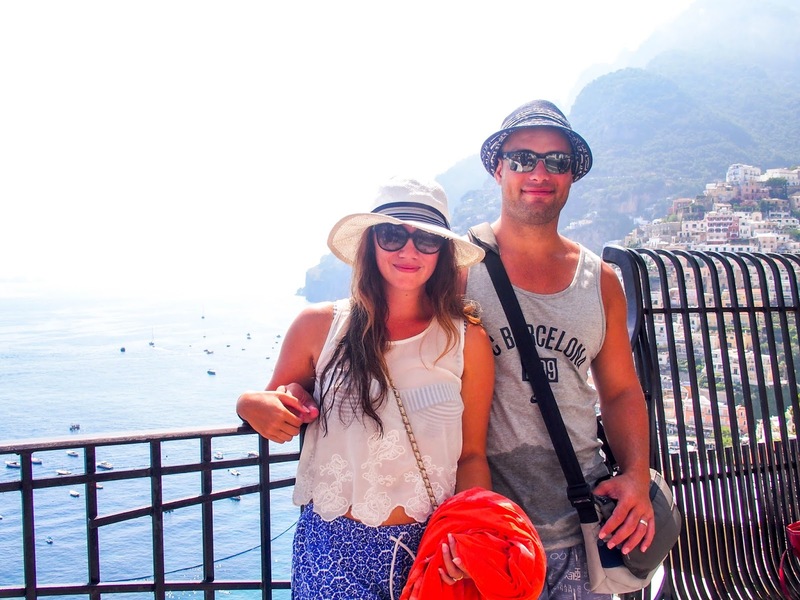 -Driving the Amalfi coast is stunning! So make sure to return by road. There are some nice little beach spots below if you have your own car. -It’s worth spending at least a whole day here, or even a couple of nights. Walk around the shops and enjoy the cafes/restaurants and beach. 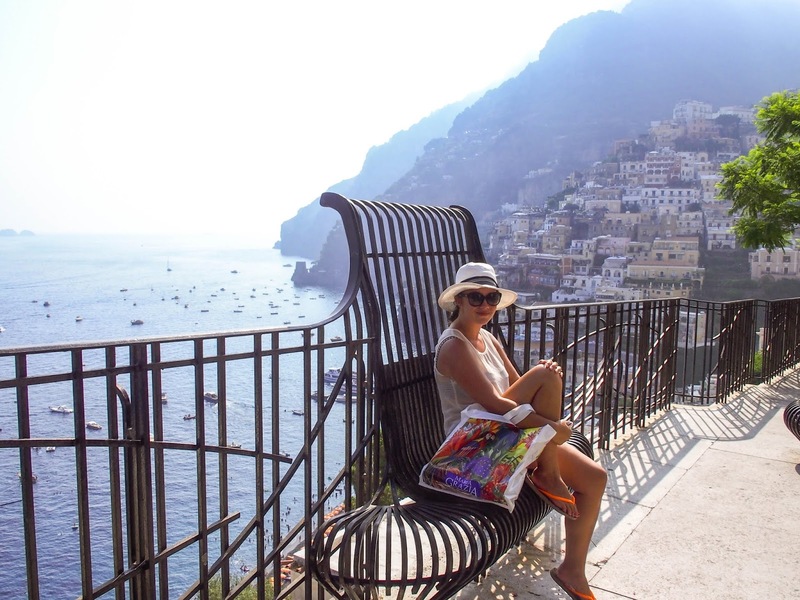 Find a cafe with a view back to Positano. -The bigger ferries would be fine with a baby. The beaches are quite shallow and it is a small town with no traffic. You don’t really need a stroller as the area to walk around is pretty small. 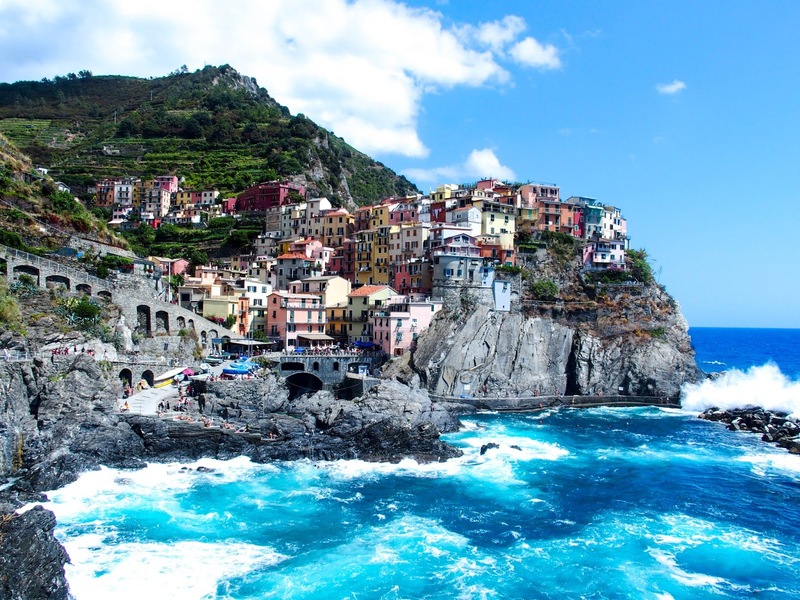 The famous villages of Cinque Terre hardly need an introduction. There’s nowhere else in the world you will see colorful houses on ocean facing cliffs that make up the villages of Cinque Terre. 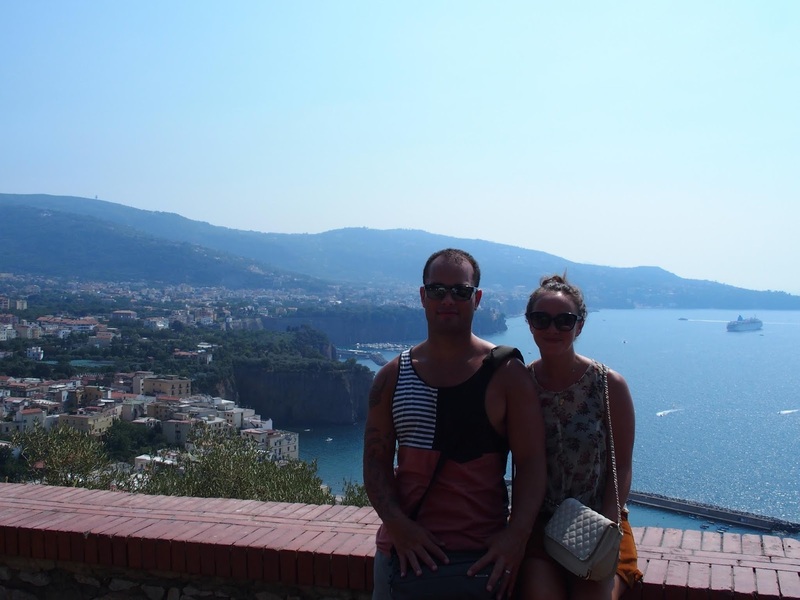 -We stayed in La Spezia, known as the gateway town to Cinque Terre. It’s very easy to catch the train from here to the villages. There are many affordable accommodation options and places to eat. 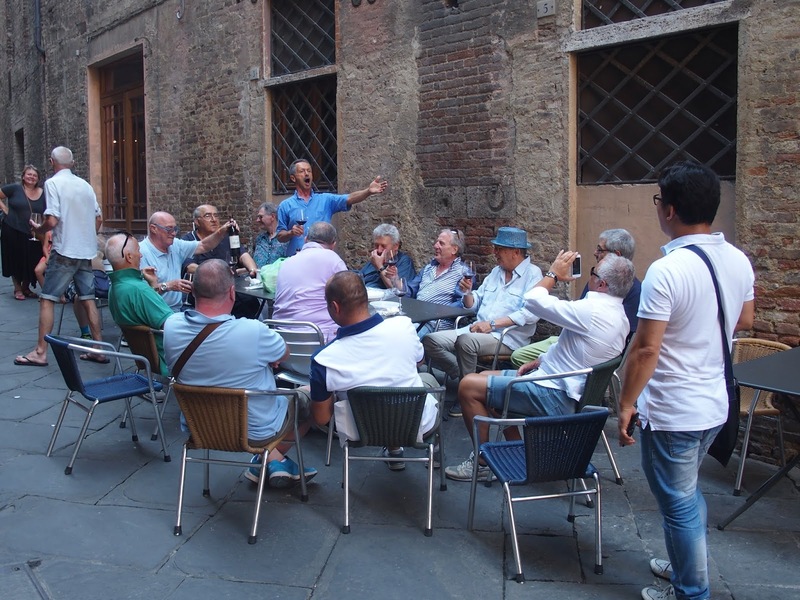 -It would also be nice to stay in one of the villages and experience Cinque Terre in the morning/evening when it is less crowded. -Make sure to hike between the villages! 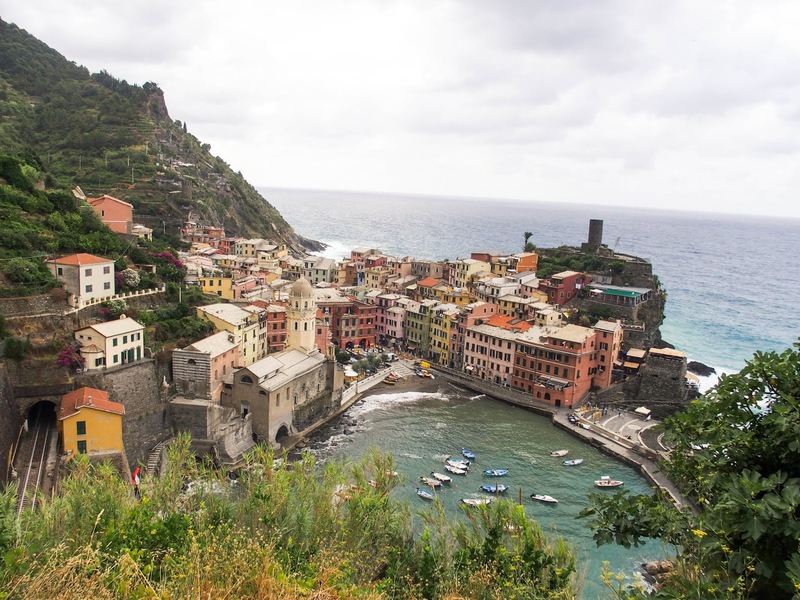 We hiked from Vernazza to Monterosso and the views were stunning. It’s a good idea to hike in the morning to beat the summer heat (if that’s when you’re visiting). -Plan some time to just relax. Monterosso has a nice beach for sunbathing/swimming, and Manarola also has some nice swimming spots. 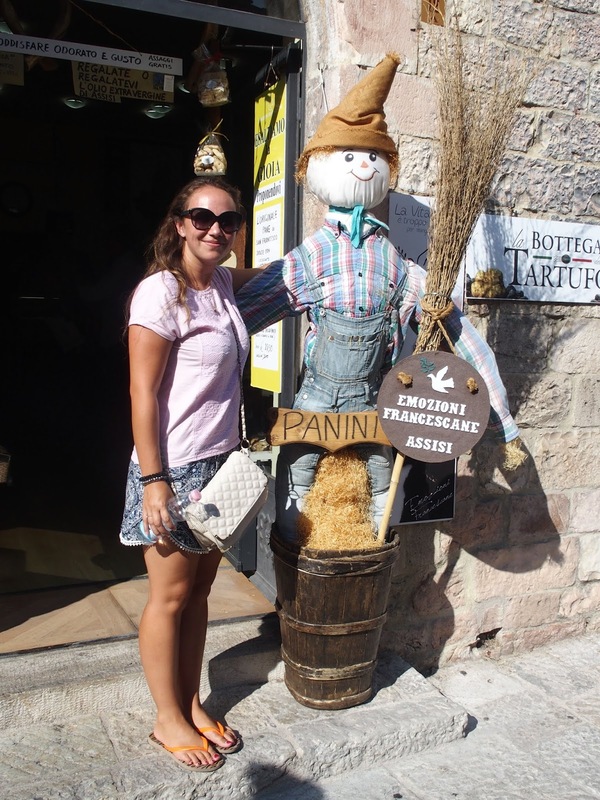 -We visited Monterosso, Manarola, Vernazza, and Riomaggiore, and enjoyed them all. -The beach at Monterosso would be the best place to swim with a baby that we saw. If you enjoy hiking it would be best early before the heat. The one we did was quite challenging. You would need a good carry pack and plenty of snacks and water. 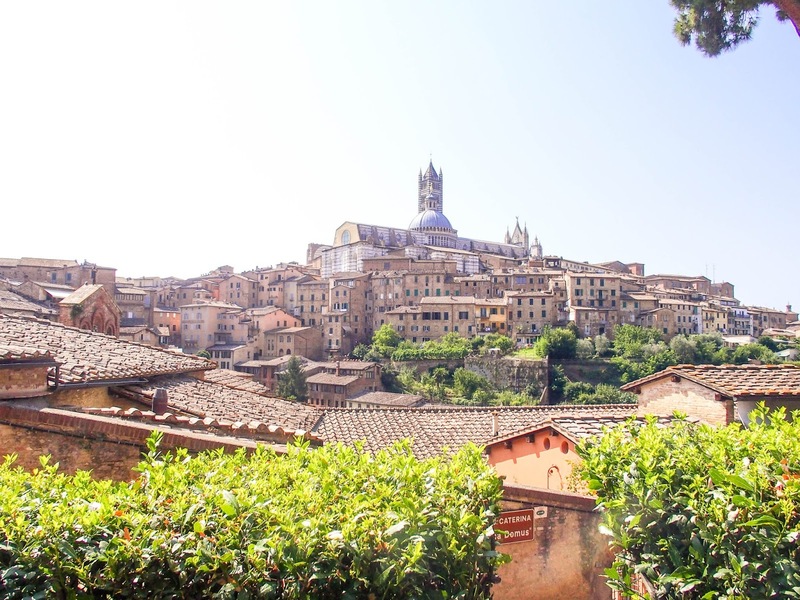 Siena is definitely one of those places that feels like you are back in time. 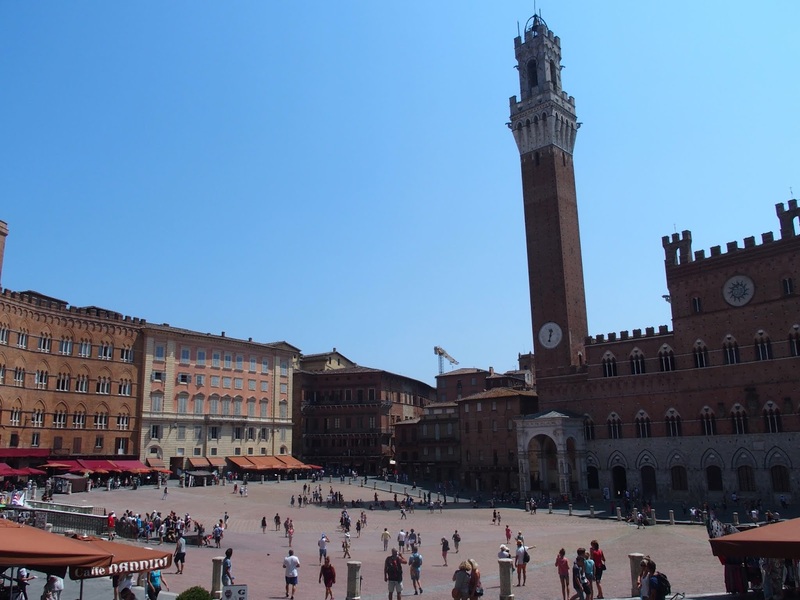 This is our favorite Piazza in Europe to visit - you’ve probably seen a photo sometime! 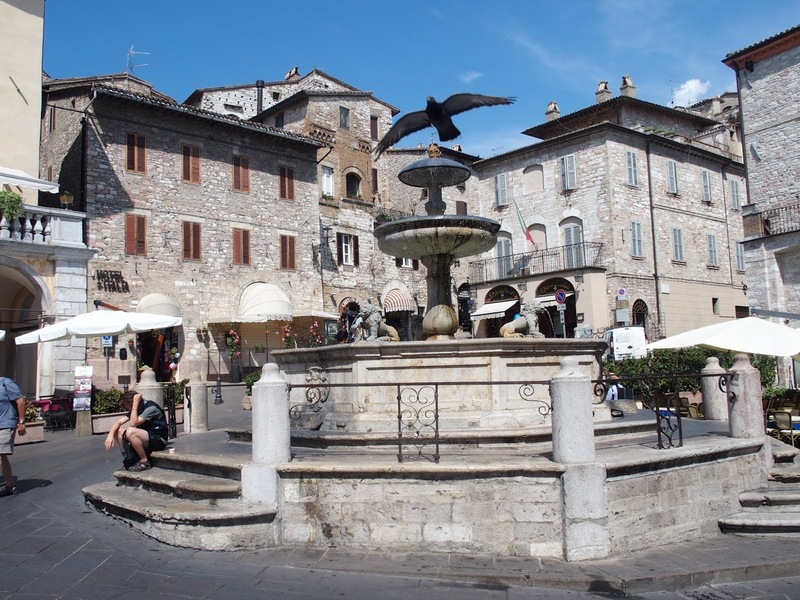 We highly recommend visiting at least one medieval town in Italy as the feeling and historical setting is quite different to visiting the major cities. -Make sure to find a cafe and just hang at the Piazza and soak up the atmosphere. -Wander the back streets and get away from the crowds. It’s like you’re in a movie here (you are in a way as many films have been shot here). - Like many of these small towns stay a night or two if you can to experience it like a local. 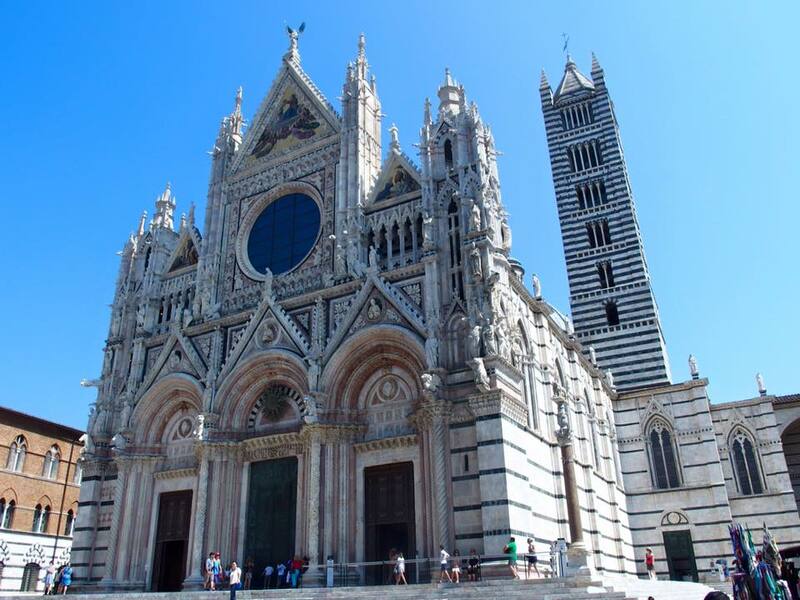 -The Duomo here is gorgeous and worth a look inside. -It as an easy day trip to make from Florence, or a place to visit if you are traveling between Rome and Florence. 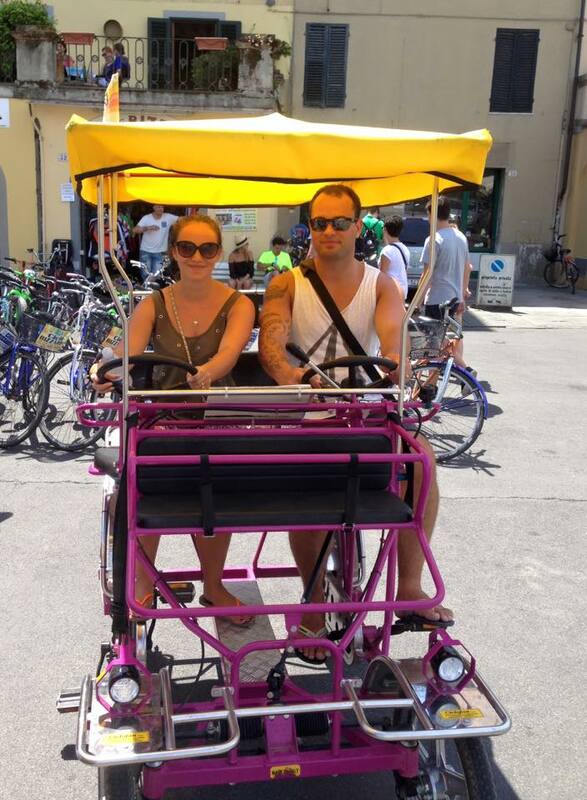 -There is no traffic once you get to the piazza and surrounding streets. There’s also lots of shade here with the high buildings. With the cobblestoned streets, a carry pack is more convenient than a stroller. A beautiful island that is a must visit if you are staying on the Amalfi Coast, or even better stay a few nights here. The mountains make for incredible views and a picturesque coastline. -Make sure to catch one of the many views from above. -Take a boat ride around the island. We managed to arrive at the blue caves before the guards and so were able to take a swim inside - an amazing experience (when the guards arrive you can only Kayak). -The ferry schedules are frequent and convenient. 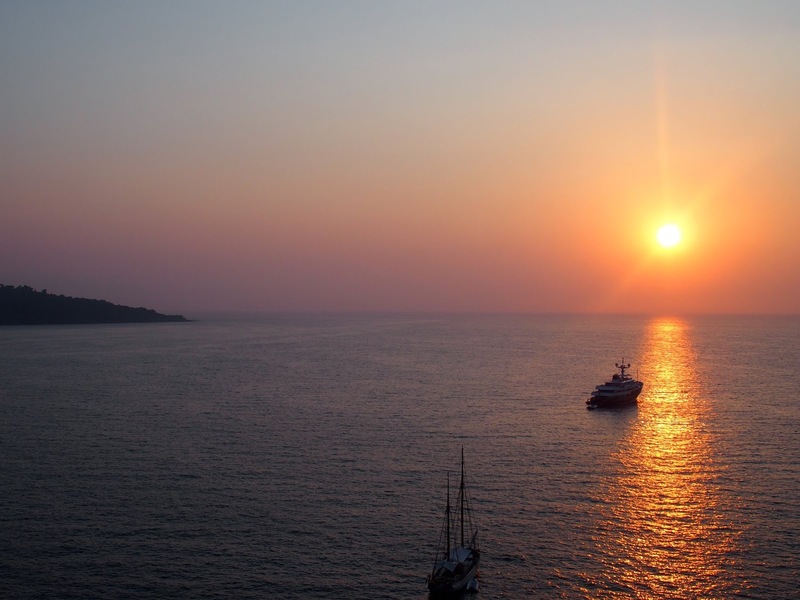 It was easy to arrive from Sorrento in the morning and head to Positano later on. -We didn’t see too much of Capri. If you wanted to explore more of the Island I would say a carry pack would be best, especially to see the views from atop the cliffs. Lucca is another place we didn’t know much about, and it is the most charming walled medieval town. -Make sure to take a bike ride around the ancient city walls. This was easily our highlight! -For a small place, there is a lot to see here. Plan for a few hours if you are into history. -Make sure to visit the Leaning Tower of Pisa which is a short trip away. The best part of this iconic sight was seeing the 100’s of tourists and their many different poses with the tower. -It is a nice walking city to explore with no traffic. Like most medieval towns, it has cobblestoned so you might want to take a carry pack. We had a couple of days to spend in Lake Como on the way from Switzerland to Milan. 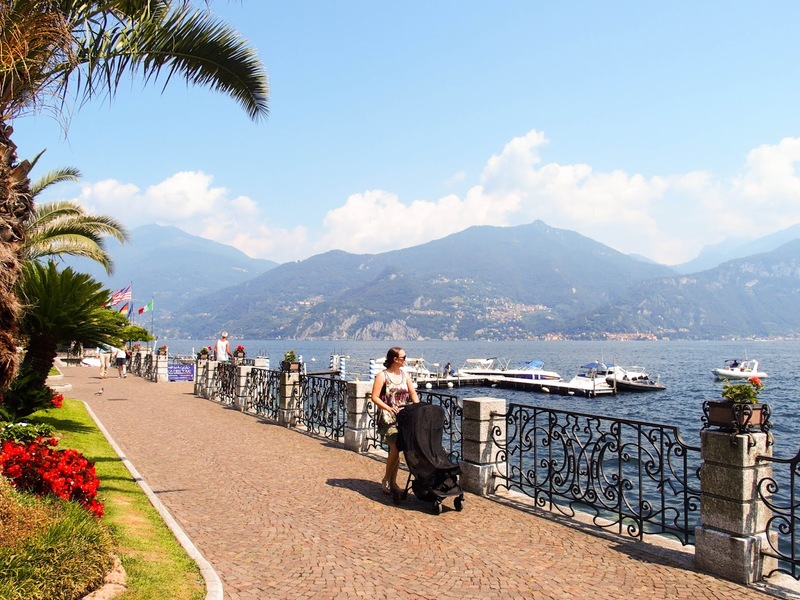 We chose Menaggio as a base as it was the most convenient to get to, and situated near other popular areas such as Varenna and Bellagio across the lake. -Make sure to take a walk along the lake as there are many parks and nice places just to relax and take it in. -Take a boat trip across the lake! This was the end of our trip and we were in relax mode so didn’t end up doing an excursion. The great thing is there are beautiful spots to visit close by. 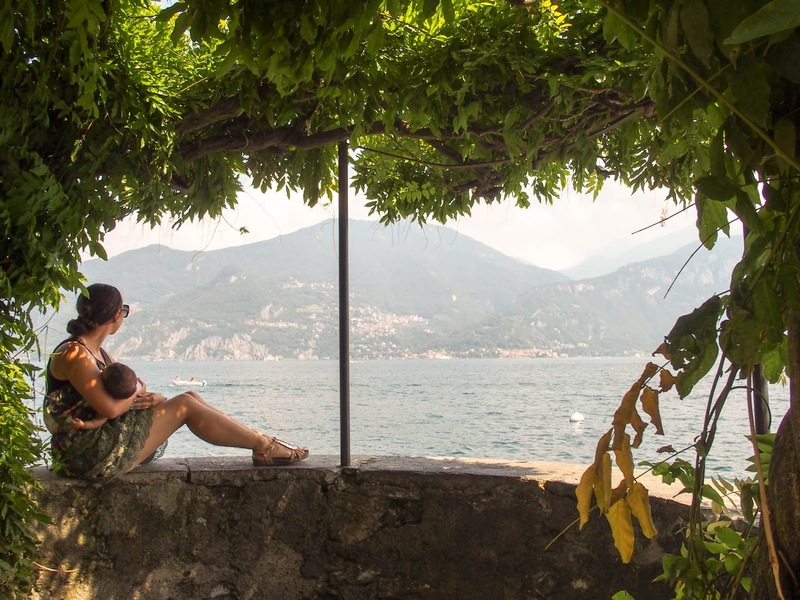 -We would like to go back to Lake Como and spend a few nights. We didn’t realize how big the lake was. -The streets here were fine with a stroller, and there’s no traffic in the old town or along the lakefront. There are lots of places along the lake to relax or stop for a play. One of the many beautiful medieval towns in Italy with amazing views out to the rolling green hillside. 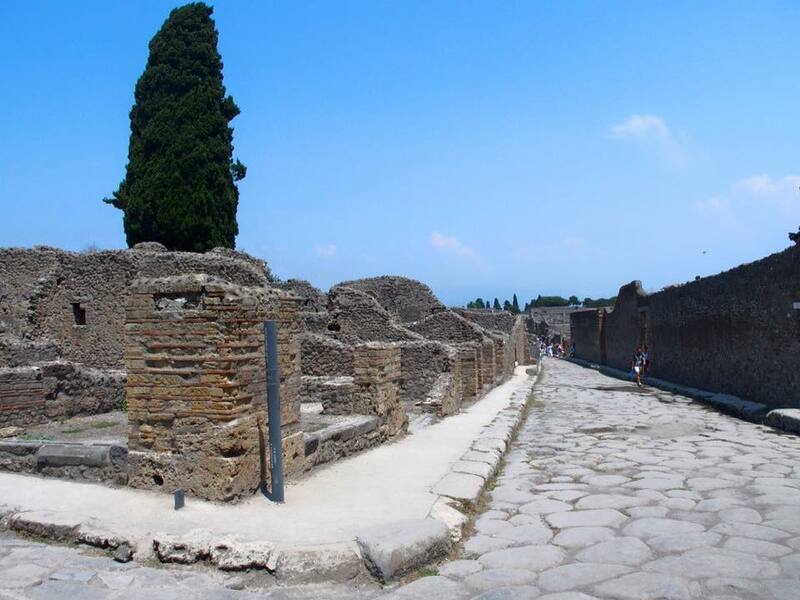 It has such an ancient feel and some significant historical sites to visit. The architecture of the entire town is beautiful. -Take a walking tour of the town if you enjoy these. There is a lot of interesting history here. 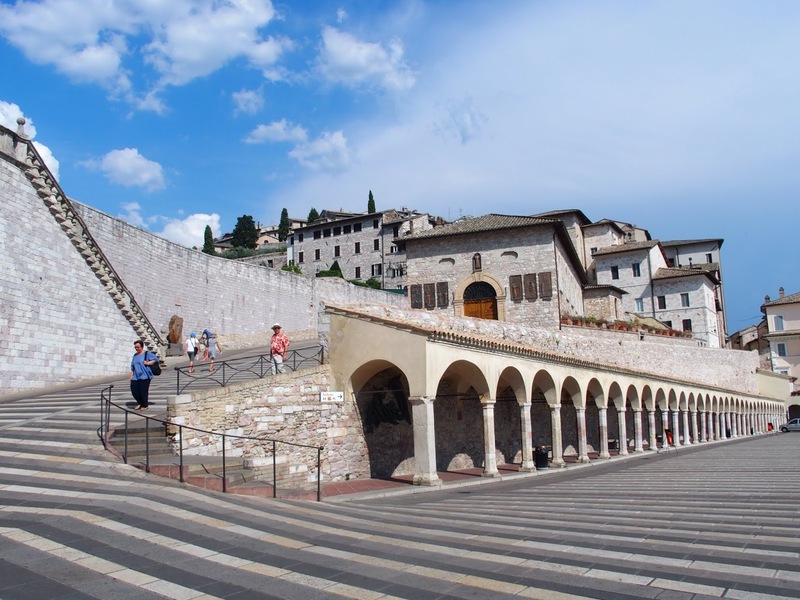 -This is the birthplace of patron saint Francis, and inside the Basilica is beautiful to see. -It is a beautiful old town to spend a few hours walking around and exploring the side streets. We found a couple of nice souvenirs in the local shops. -We only visited for the day which is enough time to see the town as it is quite small. We wouldn’t mind spending a couple of nights here to enjoy the views and the town. -It is a convenient place to visit if you are traveling between Rome and Florence. -Again, probably best to pull out the carry pack on these cobblestoned streets. A great place to explore with a baby with no traffic in the old town. Another beautiful small town along the Amalfi Coast - it’s quite small and only takes about 20 minutes to walk around. 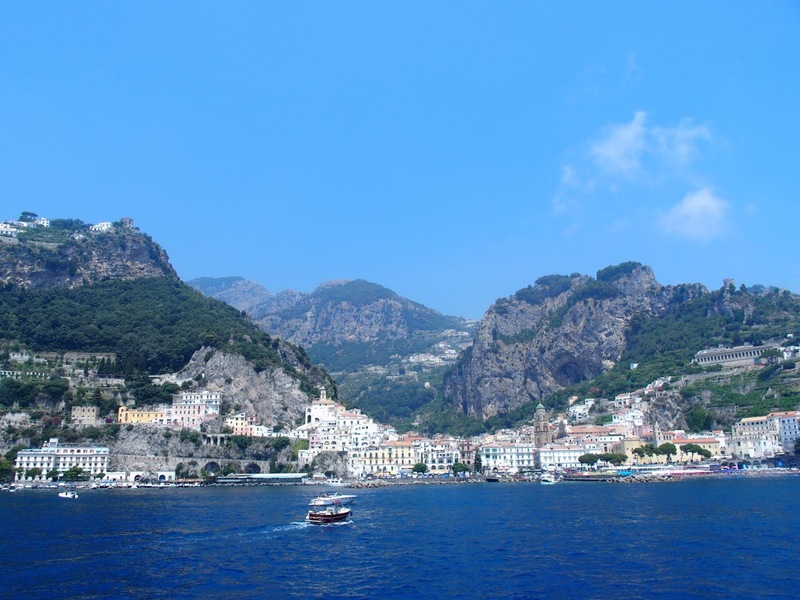 The drive along the Amalfi Coast from Sorrento to here is worth the visit alone. -The beach here was very nice to swim in, but quite busy in summer for a small beach. 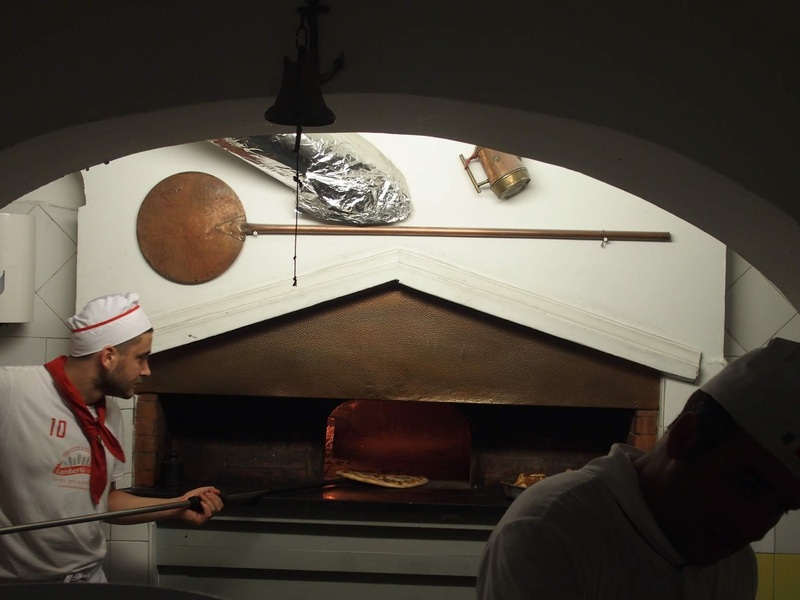 -We had our favorite Pizza in Italy here. Head further down away from the beach to Da Maria restaurant. -The church here has a beautiful entrance. We have seen it pop up a bit on Instagram lately! -If you decide to visit by boat, make sure to take the bus back as the clifftop drive is very scenic. -The beach here is nice and shallow for a baby. You might need to hire an umbrella for shade. For such a small place, a stroller or carry pack would not be a necessity. Orvieto is built so high up on a cliff that we took a funicular up to visit. It is a beautifully preserved medieval town with little traffic which makes it a great place for a stroll. -Make sure to try the famous pork, it’s served at quite a few places. It is also well known for its wine. -The facade of the cathedral here is very colorful and large, quite an impressive sight. -It is located conveniently between Rome and Florence. -Like most of the smaller medieval towns in Italy, the magic is to experience them at night or early when the day trippers are not about. There are many authentic accommodation options where you could spend a night. -Again, you probably don’t want to push a stroller up to the old town, or on the cobblestoned streets. Definitely opt for a carry pack here. 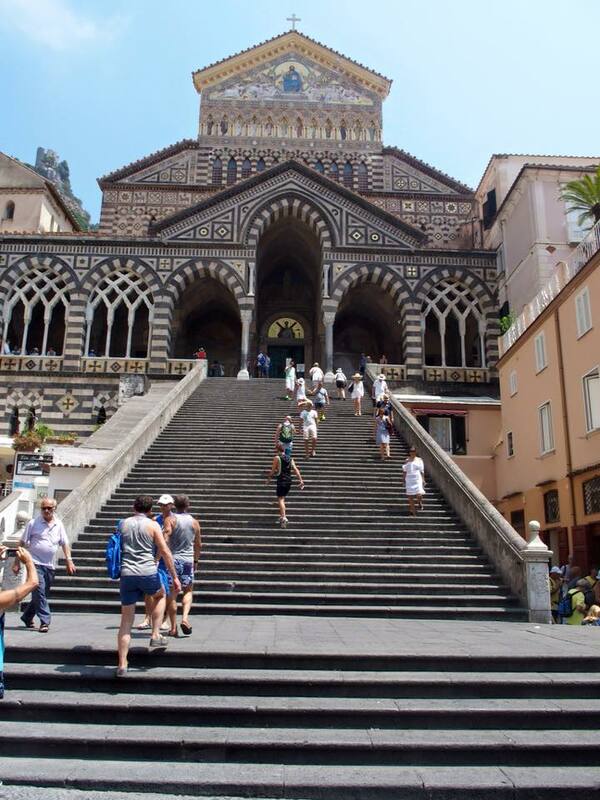 The gateway to the incredible Amalfi Coast and a short trip from Pompeii. As a clifftop town, there are accommodation options and restaurants with amazing views. 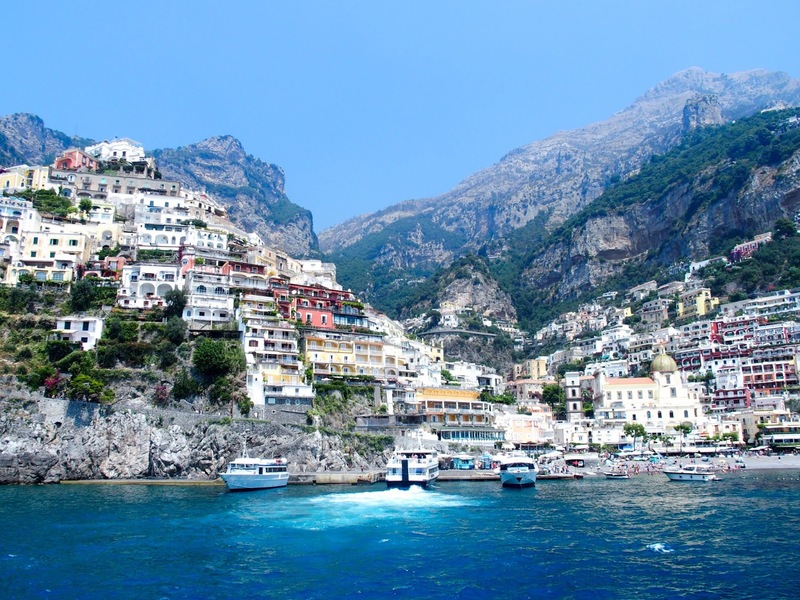 It’s a great base to explore the smaller towns along the Amalfi Coast and Capri (which is a short boat ride away). -Make sure to check out a restaurant with beautiful ocean views. There are many to choose from. 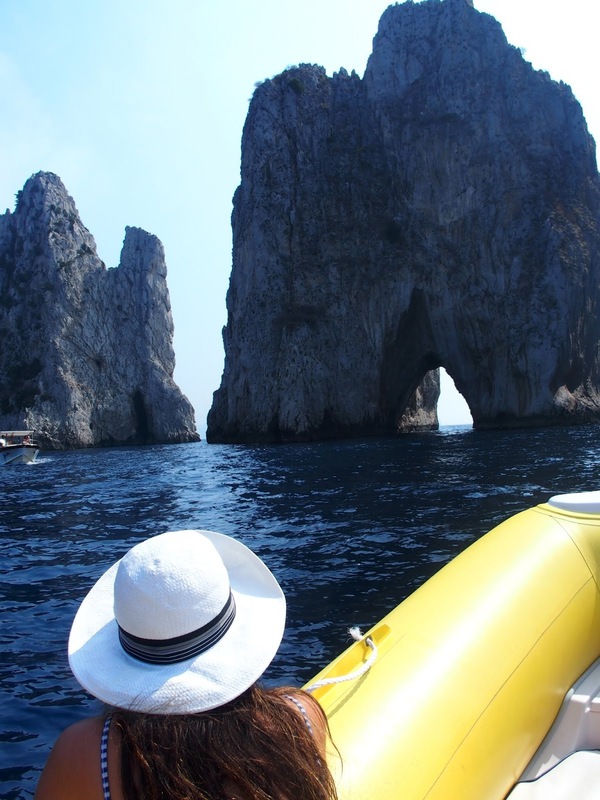 -With many boats that moor here, it is a good place to find a private boat hire if you would like to take a ride around Capri. -Famous for its lemons, take a visit to one of the lemon gardens and give them a try. They are in high demand! 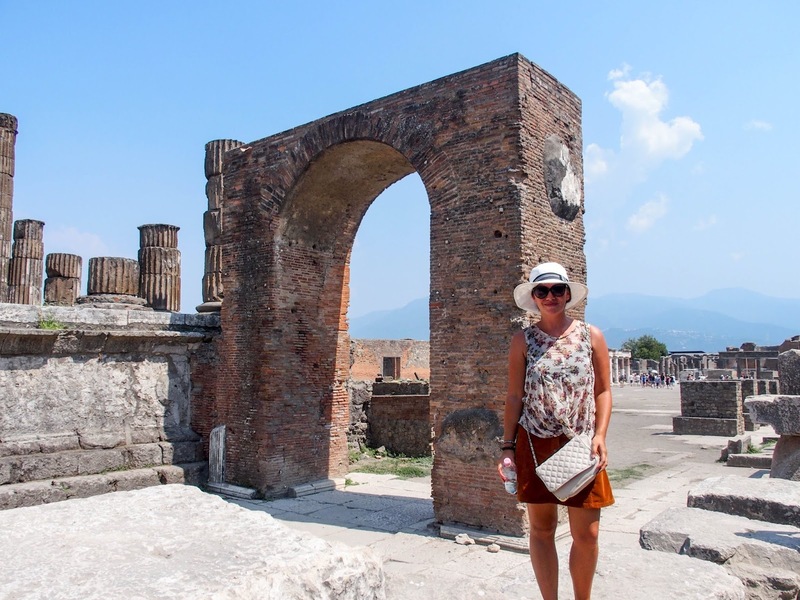 -Do not miss out on visiting Pompeii. 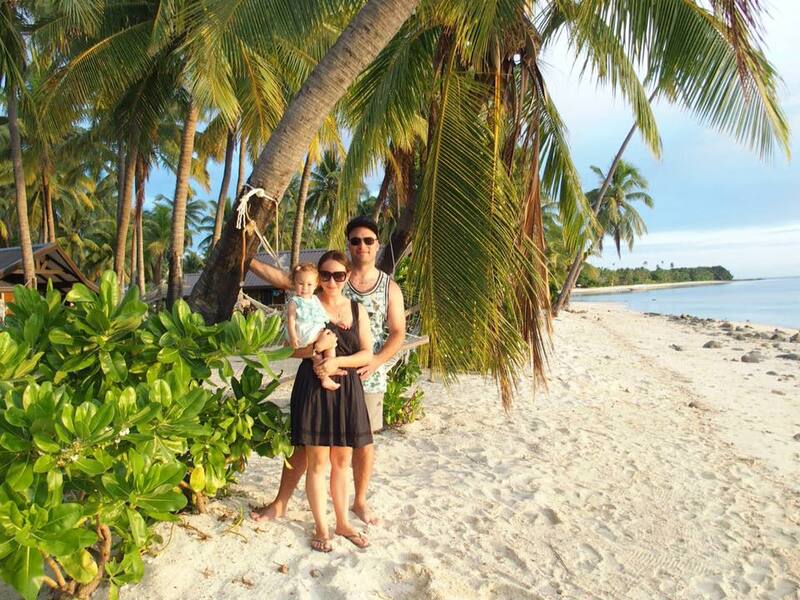 You need a few hours and we would recommend a tour guide as there are many small details that you could easily miss. It was very hot with little, if any, shade. We were jealous of the many people walking with umbrellas. -There’s not so much in terms of beaches here as it is based on a clifftop. Some of the restaurants with balconies might also not be suitable with a toddler. Otherwise it’s quite easy to get around and would be fine with a stroller.